Adata has announced that it has expanded its XPG gaming series with the V2.0 2400G 4GB dual channel kit. The DDR3 memory has been designed specifically for gamers, and has been put through extra testing to make sure that it is up to standard. 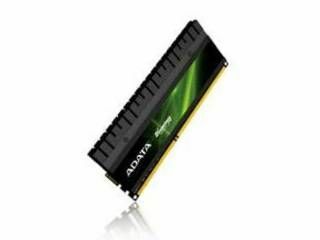 "ADATA Technology, one of the world's leading manufacturers of high performance DRAM modules and NAND Flash application products, is pleased to announce the launch of its XPG DDR3 2400G 4GB dual channel kit," said Adata's release. "The new XPG DDR3 2400G runs at an operating voltage of 1.65V with a CL value of 9-11-9-27, allowing for predicted bandwidth of up to 38.4GB per second. "This new addition is intended to meet the ever increasing demand of PC gamers for reliable high performance DRAM modules." The memory apparently offers better power consumption and lower module temperature – and the memory chip is in direct contact with the heat spreaders to keep things cool. The memory also supports Intel's XMP Extreme Memory Profiles for those that like to tinker under the hood.